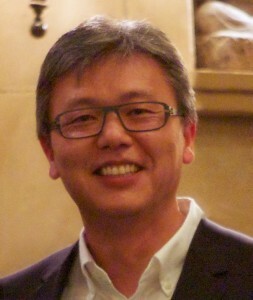 Dr Ryojo Akagami, Clinical Professor in the Division of Neurosurgery, was born in Osaka Japan, and obtained a degree in Biochemistry from UBC and medical degree from the University of Toronto. He was a Rotating Intern at the Greater Victoria Hospital Society and has a general medical license. Following internship, neurosurgical residency was done in Vancouver at the University of British Columbia, becoming a Fellow of the Royal College of Surgeons of Canada in 2000. A year was then spent as a Clinical Fellow in Skull Base and Vascular Microneurosurgery under the guidance of Dr. Laligam Sekhar in Washington DC/Virginia. After which he returned to Vancouver and has been a practicing neurosurgeon, specializing in skull base tumors. A Masters of Health Sciences graduate degree in Clinical Epidemiology and Biostatistics was also obtained from the University of British Columbia. Dr Akagami has an interest in Resident education, and had been the Program Director in the Division of Neurosurgery for 2008-2018. During this time 6 residents have completed their residency, who have all been successful in their Royal College exams and job placement. Dr. Akagami is a member of the Promotions Committee for the Department of Surgery and a member of the Surgical Foundations committee at UBC. Has been on the Scientific Committee for the North American Skull Base Society, is a member of the World Federation of Neurological Societies Skull Base Surgery committee, and has been a director or instructor in local/national/international Skull base courses. He is an acknowledged expert in the field of Skull Base surgery, having performed over 530 pituitary tumors and 400 acoustic neuroma surgeries. He has an interest in intraoperative monitoring techniques and has introduced the use of motor evoked potentials for monitoring cranial nerves during Skull Base surgery. He has authored many scientific papers and chapters on monitoring and Skull Base tumors. He is also a reviewer for Canadian Journal of Neurological Sciences, Neurosurgery, and Journal of Neurosurgery. Acoustic neuromas and Herpes virus. Perform a PubMed Search of Dr. Akagami’s publications.